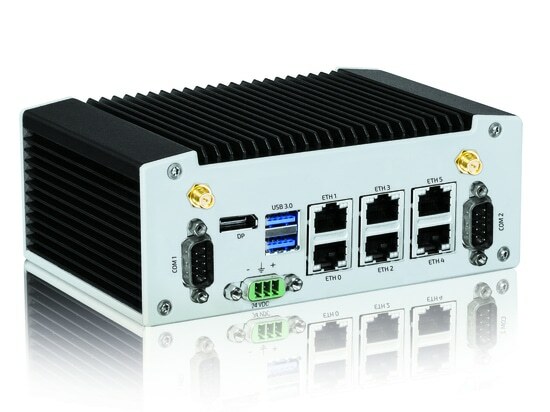 Kontron, a leading global provider of IoT/Embedded Computing Technology (ECT), announces the KBox B-201, a high performance, compact design computer, as a new member of the Kontron Embedded Box PC family. State-of-the-art 7th Gen Intel® Core™ processors together with an Intel® Q170 Express Chipset allow for extremely high performance at a low noise level (34 dB(A) max.) To this end, the KBox B-201 comes equipped with an extremely quiet fan, making it suitable for use in noise sensitive environments. Versatile mounting options and a high number of interfaces offer high flexibility. The KBox B-201 is characterized by high performance levels requiring little space. The Mini-ITX motherboard in the compact 170x170 mm form factor is equipped with two to four processor cores: optionally, users can choose between three 7th Gen Intel® Core™ processors (i3-7101E/i5-7500/i7-7700); on request, 6th Gen Intel® Core™ processors are available as well. KBox B-201's performance further gets boosted by the Intel® Core™ Q170 Express chipset. 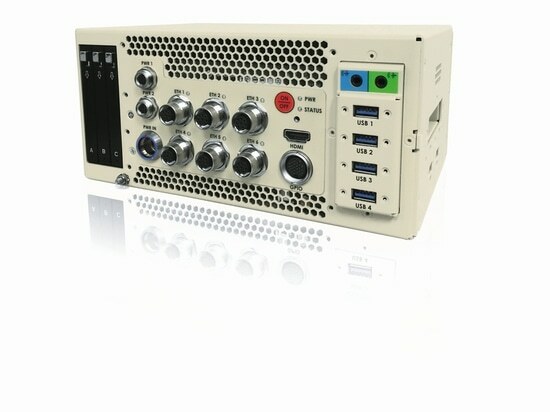 The system offers three graphic ports in total, including two space-saving DisplayPorts V1.2, and one DVI-D interface. A 2.5-inch SSD SATA III/ SATA-600 as well as a M.2 SSD / SATA III are available as storage media for operating system or data. A mSATA SSD can be integrated optionally. Various interfaces, e.g. four USB 2.0 and six USB 3.0 ports, offer high flexibility. 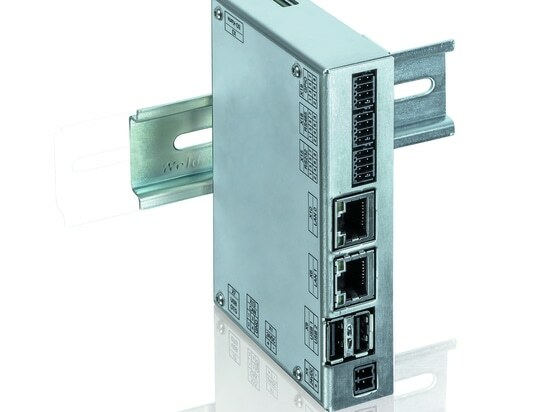 A serial interface (RS232/COM1) is provided for local data collection and sensor- or machine environment connectivity. Two Ethernet Ports 10/100/1000Mbit/s and a Mini-PCI plug-in card slot are available for system expansion. 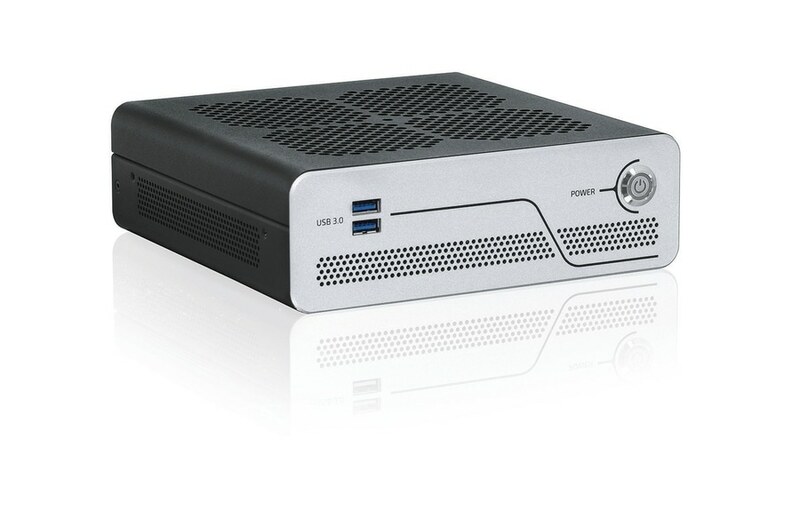 The Box PC runs on Windows® 10 IoT Enterprise LTSB and Yokto for Linux operating systems. The KBox B-201's housing is manufactured of continuously hot-dip zinc coated mild steel sheet (according to EN10215) and aluminium with the measurements 190x60x190mm. Five different mounting options guarantee highest flexibility. 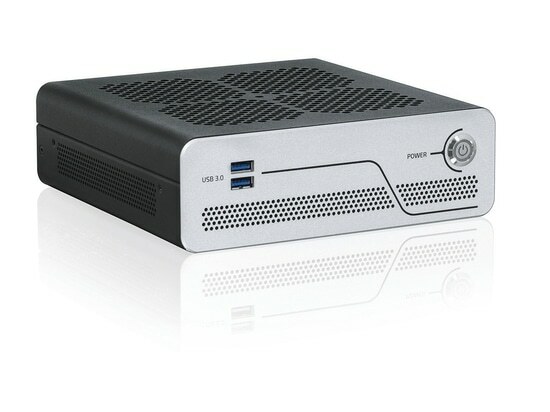 The KBox B-201 can be used horizontally or vertically as a desktop PC, or the box PC can be fixed directly behind a monitor using a VESA mounting. For mounting underneath a table, on the wall or in a control cabinet, special angle pieces are available, likewise offering horizontal or vertical operation. The Box PC can be used in ambient temperatures ranging from 0 to 45 degrees Celsius. The KBox B-201's typical application areas are image processing tasks, plant data collection, as well as manufacturing executive systems (MES) in the automation pyramid. The KBox B-201 supports TPM V2.0 encryption for secure cloud connection. Optionally, the Kontron APPROTECT Security solution can be integrated. 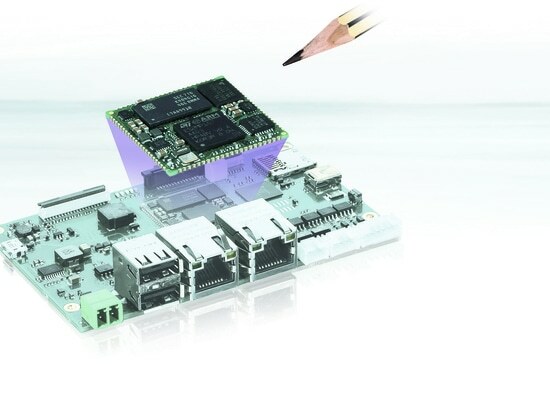 Based on an integrated Wibu-Systems security chip and in tandem with a specifically developed software framework, it provides IP and copy/reverse engineering protection. Kontron APPROTECT Licensing also enables new business models such as "pay per use", demo versions for limited time periods, or activation/deactivation functions.